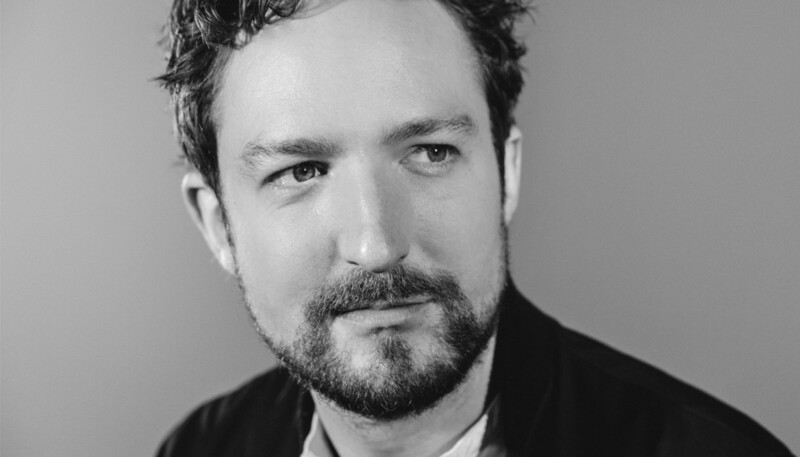 To celebrate 10 years since his first solo release, former Million Dead-frontman Frank Turner has rounded up some of the highlights on new retrospective Songbook. We caught up with the campfire punk-rocker to find out more about the compilation, and to hear how he's drawing a line under the last decade and pursuing a radical new direction on his forthcoming seventh studio album. You’re renowned for your work ethic, but it feels like 2017 has been a little quieter for you, right? I mean it has, a little. I think we’re going to top out this year with about 120 shows or thereabouts, which is not as many as I’ve done in other years. But we’ve made a new album this year too, so I’ve been keeping busy. As I get older I have a house, a girlfriend, a cat, and members of my crew have children so, collectively as a touring entity, we are picking our battles a little more carefully these days. I think we all agree we don’t want to spend 14 months straight on the road anymore, so we’re getting a little bit more sensible in our old age. 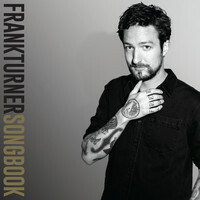 Songbook looks back on your solo career to date. How comfortable are you looking back rather than forging forwards? It felt good. One of the inspirations for doing the Songbook collection was when I played my Lost Evenings festival in May this year. I headlined the four nights and I was trying not to repeat songs across evenings as much as possible, so that meant that I ended up playing, I think, 85 different songs. It gave me an opportunity to look through my catalogue in a holistic way, which I don’t usually do because I don’t tend to listen to my old albums; I’m not quite that far up my own arse. So that it was that, combined with the fact that the seventh album – that I’ve been working on in Texas and am going to put out next year – is pretty stylistically different. It’s quite a radical, left-hand turn. So I thought it would be an interesting moment to look back and to survey, what currently feels like, phase one of my career. I don’t tend to listen to my old albums; I’m not quite that far up my own arse. And you personally curated the compilation? Yes, I did. I mean, the record label had some opinions, as labels are wont to do, but the funny thing is there’s a cliché in rock‘n’roll, or in art generally, that popularity and artistic worth are somehow incompatible with each other, and I’m not actually sure that that’s necessarily true. The collective taste of the record-buying public has intelligence to it. So there are a few left-field songs on there but, for the most part, if a song of mine is popular it’s usually because it’s one of the better ones. Looking back over a decade’s worth of work, can you hear how you’ve grown as an artist? Yeah, definitely. It’s a complicated feeling, just in the sense that in some ways there’s a freshness and a naivety that everybody has when they first start writing, you know? You have this innocence about the process and there are things that you can say when you’re writing your first album that you can’t really say when you’re writing your sixth. Not least because you’ve already said them. So the early stuff, some of it strikes me as being terribly naive – sometimes in an endearing way and sometimes in a slightly embarrassing way – but it also has this directness and freshness that you can’t reinvent. And some of the stuff from my later records – which I think are probably better constructed and certainly better recorded – that’s all fine, but sometimes there is a value to that innocence in the early stuff. Do you have a personal favourite track on this compilation? To be honest, my favourite part of the compilation are the re-worked songs. We’d been doing it for years in a live context, just reworking songs. It’s a trick I picked up off Counting Crows, who were my favourite band when I was a kid, because they always used to do that on the b-sides to their singles. So to get into the studio and not only track some of the ones that we’ve been doing live for a long time – like ‘Long Live The Queen’ for example – but to actually come up with some new ones was great. I think the new, re-worked version of ‘Polaroid Picture’ might be favourite thing on Songbook. And when does the new song, ‘There She Is’, date back from? That song was written in September 2016, but it’s going to be on the as-yet untitled, unmixed and unfinished album seven. We pulled that one song to go out on this compilation for a number of reasons. First of all, it’s slightly the odd one out of the new material. The new record is about current affairs with the exception of that song, because I’d just written two records about a collapse in my personal life and it felt like this song is the line drawn underneath all of that. Plus it also points the way to where my music might be heading next stylistically. So it feels like a bridging song. Discussing your forthcoming album in an interview with the Independent earlier this year, you said you wanted to make a record that could be played in “a f***ing dirty club.” Just how radical is the change of direction? So, it’s difficult for me to judge but it’s certainly an attempt to do things very differently. It’s not all dance music, but certainly I’ve been thinking about rhythm and about beats a lot more than I have on previous records. There are some programmed drums, there is quite a lot of analogue synthesizer, there are horn sections... I just wanted to push myself out of my existing comfort zones. I always do that to a degree, but I wanted to do it more so this time around. Were there any specific reference points, or music that was inspiring at the time of writing these songs? I was a listening to a lot of early 80s post-punk stuff, or indie stuff like The Cure, or minimalist beat stuff like Can and NEU! and that kind of thing. I mean, I recently read that book ‘Rip It Up And Start Again’ by Simon Reynolds, and I’m not saying that the new record sounds like Throbbing Gristle or anything like that, but I found reading that book very inspirational and it certainly broadened my horizons musically. Thematically, you say the new album’s much more focused on current affairs. Can you tell us more about your focus? I’m hesitant to call it a political album for a number of reasons. Firstly because it doesn’t sound like Rage Against The Machine, or indeed like Billy Bragg. And, also, I’ve had my ups and downs with politics in the public sphere in the last decade. But essentially I started writing new material about other things and then 2016 happened with Brexit and Trump. It just seemed to me that for the first time in quite a long time I felt like I couldn’t ignore the outside world even if I wanted to. As a writer, I felt duty-bound to respond to this in some way. Unfortunately, my gut reaction is to talk about things like tolerance and liberalism and centre ground and that kind of thing, none of which is particularly given to easy sloganeering, it has to be said. (Laughs) So it took a little while to figure out my voice for it but, yeah, I wanted to talk about the fact that the absence of common ground between the two political extremes is a dangerous thing. I think that the fact that people currently seem to take pride in an inability to understand their opponents is an extremely dangerous development because some form of mutual understanding is necessary if we are to communicate without violence. So it centres around all of these issues but I guess we will see when it comes out, hopefully in spring. In terms of your other plans for 2018, you’ve announced a camp at Catskill Forest Preserve. Can you tell us more about that? It’s a concentrated songwriting camp that’s been going on for years. They pick a different songwriter every year, and this time it’s my go. I, in fact, just got back from doing a writers’ conference in Florida, which is the first time I’ve ever really attempted to talk about songwriting in a public way. It’s not like I’m trying to guard my secrets, it’s just that I’ve often found it difficult to find vocabulary to discuss it. But at the same time, it’s something that I spend all of my waking hours doing; thinking about songwriting. The thing in the Catskills is going to be really intense because I’m essentially doing tutoring for three days. Hopefully that will be of use and of interest to people. I’d certainly like to share whatever little I know about songwriting with the world if I can. It’s quite a pricey course. What kind of demographic are you anticipating to attend? I’m aware that it’s not the cheapest thing, because it is also holidaying in a resort, so I think the majority of the cash goes on that. There were some people that were being slightly irritated about me doing that which is fine – nobody’s forced to come – but it’s one of about 200 or 250 events that I’ll be doing next year. So it’s not like anyone’s being excluded from what I do. We’re going to be doing some songwriting stuff among the panels we do at Lost Evenings 2 [at the Roundhouse next May]. We’re going to be have a load of stuff from CALM too, plus a great line-up that we’re about to announce. It’s been a decade since your first solo release. How have your motivations for making music changed in that decade? In the specifics it’s changed, in the sense that I’ve learned a lot more about songwriting, I’ve picked up a band in The Sleeping Souls, and also – within the confines of the musical context that I exist in – I am trying not to repeat myself. That said, the central motivations remain the same. I love making music and I feel very fortunate to feel as passionate and as excited about my seventh album as I did about my first album. The simple fact is being in the studio, coming up with fun ideas to throw in new songs that I’ve written, felt very much the same this time round as it did 10, 11, 12 years ago. And how have the goalposts moved in terms of your ambitions? You know, this is going to sound like a cop-out answer, but my ambition was always to do this full-time for a long time. And as a goal, that’s more ambitious than it initially might sound, simply because to sustain a long-term career in the music industry is rare, I think. Or, at least, compare to the number of people who would like to do that, it’s rare. It was unlikely enough for me to find myself playing on a stage in front of a few thousand people, and the fact that I’m still doing that a decade later is something I’m extremely grateful for and proud of. So that remains my ambition; to make a life out of doing this.